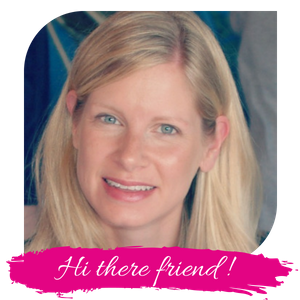 I received the item at no cost and I was compensated for my time to review this product. However, I was not required to write a positive review and all opinions are honest and 100% my own. Please read my disclosure policy for more information. Games have a way of turning learning into fun so kids don’t even realize that they are learning! The HoliMaths X multiplication math game is exactly that. With various options for play, this game is a good tool for learning and practicing multiplication facts. 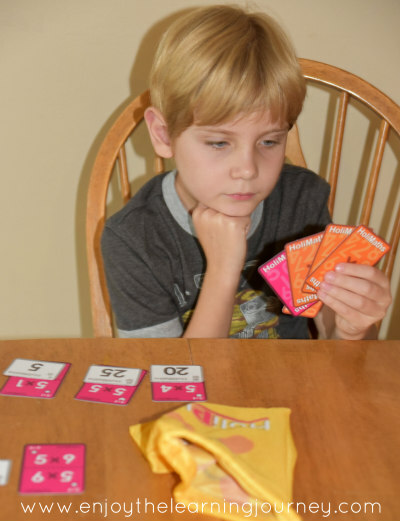 This past year my son, Kellan, learned his multiplication facts and so playing this game allowed him to remember and practice what he had learned. Kellan really enjoys playing games and because is he is such a big game-lover I try to use games for learning whenever possible. In fact, we have quite an arsenal of games in our house. We were excited to add one more learning game to our collection and specifically, one for multiplication. Kellan can certainly use the practice as we come out of a busy summer and since we all prefer learning that is enjoyable this is a great option for practicing those facts. 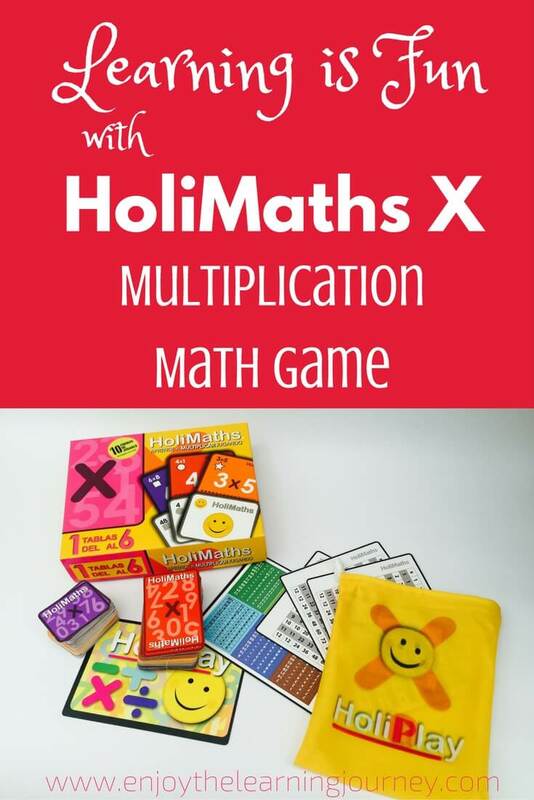 HoliMaths X is a multiplication strategy card game intended for families to play together. The game offers a variety of different ways to play, 10 in total, and is for up to 6 players. They suggest ages 7 and up but that is just a recommendation, of course, and you know your child best to determine if this is something they would be interested in. But the game isn’t just a drill of facts and there is actually an opportunity to develop and use logical thinking and strategic skills. There are two boxes of cards with multiplication facts from 1 to 6 in one box and facts 7 to 12 in the other. These need to be purchased separately. There are a variety of different games available with the sets of cards, which gives you a lot of options for ways to play. That also means you need to learn how to play each of those games. However, the company offers written instructions as well as YouTube instruction videos to help you get up-to-speed. We are regular game purchasers and there is always a lot of initial excitement whenever we unbox our new games. So of course we were excited to dig in and see what HoliMaths X had to offer. Since I’m attracte to bright colors I was immediately drawn to the bright colors on the box and cards. I think many children will feel the same way and will want to explore the box and cards. And when we can get our kids to pick up a learning tool all on their own that is always a good thing, right?! The games we received are the Spanish version and since I don’t speak Spanish I couldn’t read the box or accompanying information. (HoliPlay now offers the English version so that’s what you would receive!) Since the cards are numbers/multiplication problems, the Spanish version didn’t hinder us from playing. We received a copy of instructions in English and were then able to determine how to play the game. Initially we were a little confused with the set-up of the game and how to play so we watched the YouTube videos and that helped. I think it’s great that there are so many different games offered with the same set of cards but it will be a gradual process to learn and get the hang of each. Some are geared for a little older, more advanced players. We own a couple of other multiplication games and the one thing I found advantageous to HoliMaths X is that you have the opportunity to focus on specific math facts. All the other games we’ve played include the complete times table so they are best played after children learn all their math facts. Since the HoliMaths X cards can be easily divided, you can focus on certain math facts with your child. For example, just the threes (orange) and fives (pink) can be used to focus on those particular facts. So, you won’t need to wait until your child knows all their math facts before you begin playing the game! This is a great opportunity for review after each math fact is learned. There is also an opportunity for problem solving and strategic thinking with these games which increases the value of play. With HoliMaths X, children are learning new games, finding ways to outsmart their opponents and practicing math facts at the same time. And if that’s too much for your child, you can always just have them match the multiplication problems with their answers and keep it really simple. There are a lot of options with the cards, as you can play the suggested games or create your own. 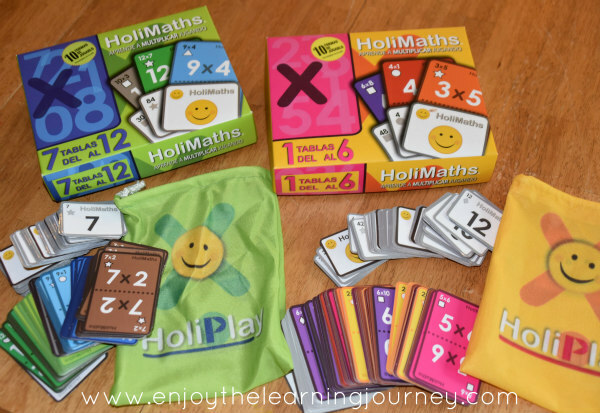 You can learn more about HoliPlay and HoliMaths X by visiting their website at www.holiplaygames.com or by watching this video. They currently have a Kickstarter campaign running. Plus, they have a giveaway going on right now where you can win a HoliMaths X game. And if you buy the product (in kickstarter) and win the giveaway, HoliPlay will refund your money.